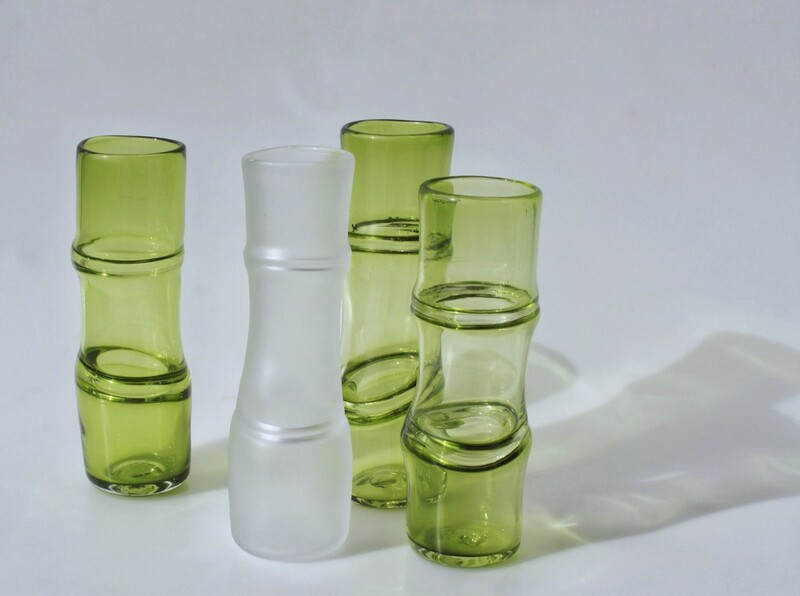 These vessels, in sandblasted clear glass and transparent green, are inspired by the natural form of bamboo, a material often used in Japanese crafts. 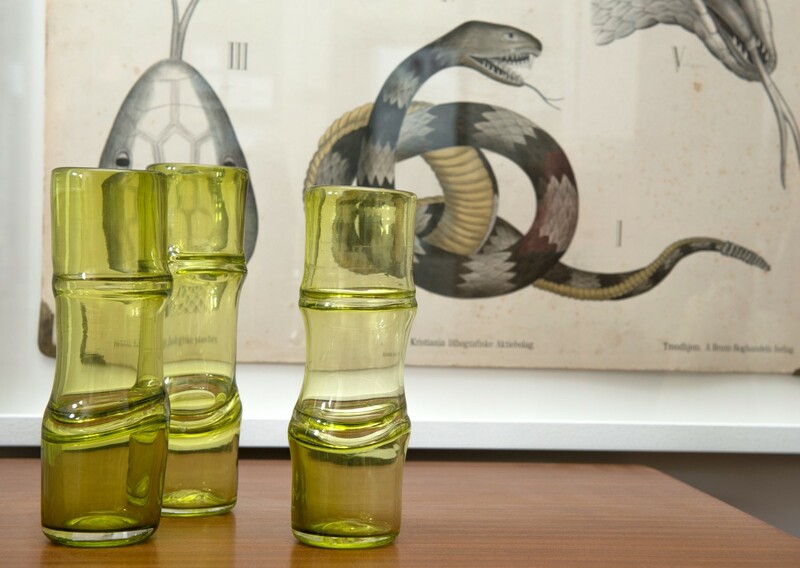 The pieces use traditional glass techniques to mimic this form. 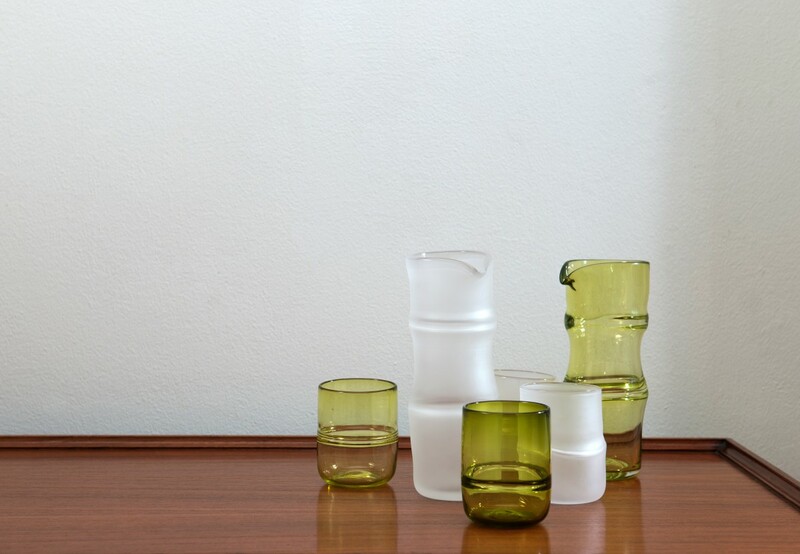 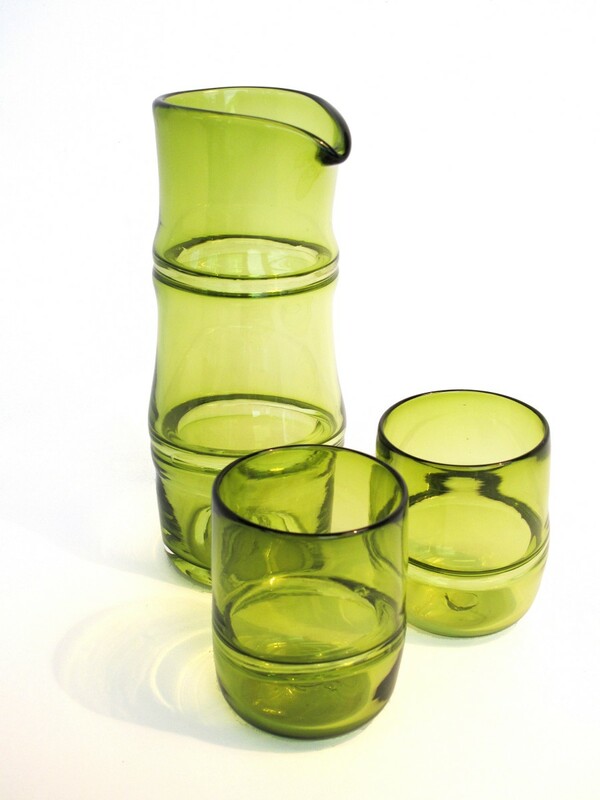 The range is available as vases or sets of flasks and drinking glasses.